Have you ever wondered why State Street, one of the most traveled thoroughfares in the City of Jackson, isn’t a more appealing and accessible city artery? If lack of funds was the hold back, the City received an angel investor in the form of a $16.5 million Transportation Investment Generating Economic Recovery (TIGER) grant from the U.S. Department of Transportation this week. Engineering studies could begin as early as January 2016 with a final completion date of September 2019. With this money, comprehensive improvements to North State Street, from Hartfield Avenue to Shepphard Road, will be funded. 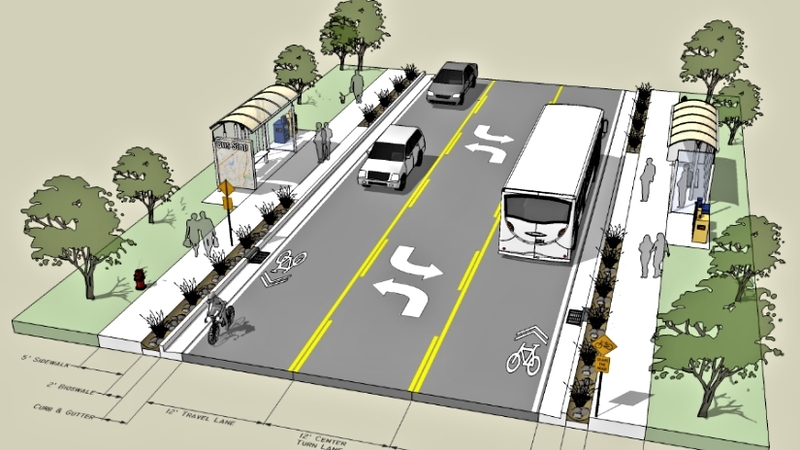 According to the proposal submitted by the City, the “Greening the Gateways” project will integrate environmentally sustainable multimodal transportation improvements within the City of Jackson, Mississippi connecting residents, commuters, and tourists to economic centers of the city. This includes water and sewer repair, paving, drainage improvements, ADA accessible sidewalks, lightning, landscape, bicycle accessibility and more. TIGER grants fund capital investments in surface transportation infrastructure and are awarded on a competitive basis to projects that will have a significant impact on the nation, a region or metropolitan area. 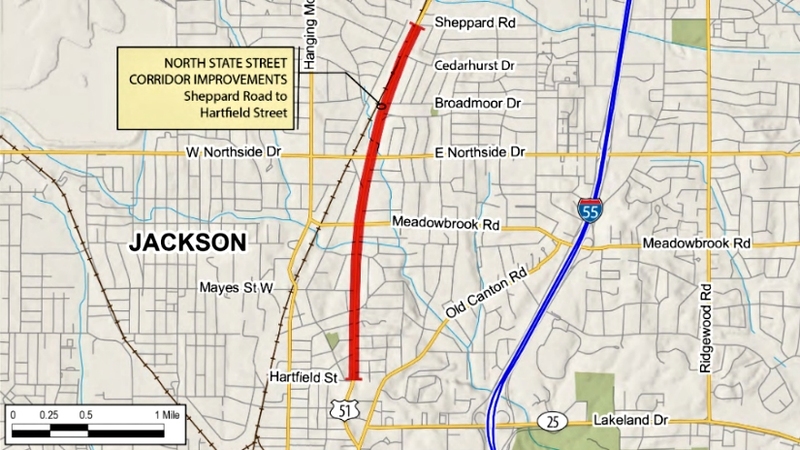 In Jackson, the improvements will be made along the “Gateway” corridor segments of North State Street and also West County Line Road. The project will convert roads and make them complete streets. It also will manage drainage and mitigate sanitary sewer overflows along both streets and provide greater access to Tougaloo College. “The Gateways project will create ladders of opportunity that will bolster economic growth and stability by providing accessible and efficient connections between residences, schools, parks, public transportation, offices, retail and recreational destinations,” said Department of Public Works Director Kishia Powell. 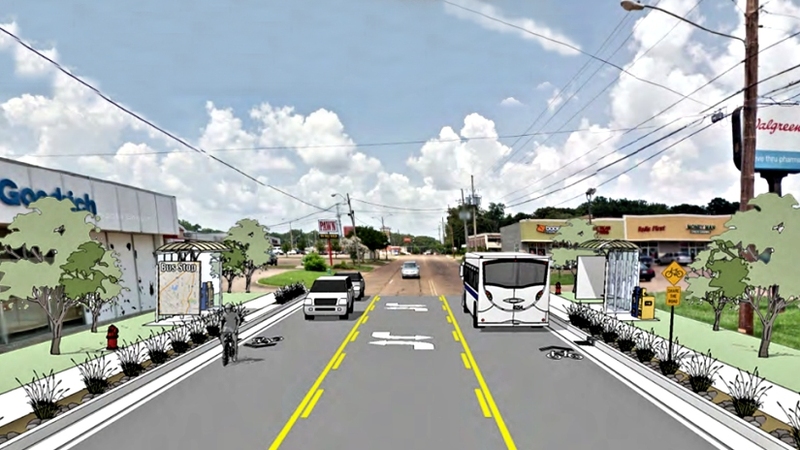 support to this project proposal: Central Mississippi Planning & Development District, Canadian National Railway, Mississippi Coalition for Citizens with Disabilities, Bike Walk Mississippi and JATRAN – Jackson Mississippi Transit Authority. See the entire grant application and all of the project details here. Overjoyed to see this. Dr. Scott Crawford has been working for years to help initiate this kind of development. So glad to see it getting started in earnest.